INVESTMENT OPPORTUNITY! CURRENTLY PROFESSIONALLY MANAGED! 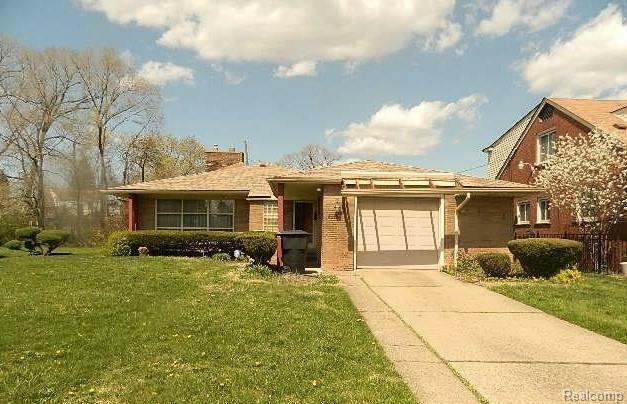 LOVELY LARGE BRICK RANCH HOME FEATURING BASEMENT & ATTACHED GAR GARAGE. CURRENTLY OCCUPIED. LEASE EXPIRES 1/31/2020! EXCELLENT TENANT PAYING RENT RATE OF $1,144 PER MONTH. EXCELLENT INCOME RENTAL!PART OF A 7-SINGLE FAMILY HOME PORTFOLIO SALE. ASK ABOUT OUR OTHER 6 HOMES AVAILABLE FOR SALE!To respect the privacy of the tenants, NO SHOWINGS available. Do NOT approach tenants. However, any offer may be conditioned upon a satisfactory inspection of the property. Serious Investors Only. All room measurements are to be verified by buyer and/or buyer's agent. If you have any questions, please call Agent directly. Listing provided courtesy of Michigan Metropolitan, Realtors~.